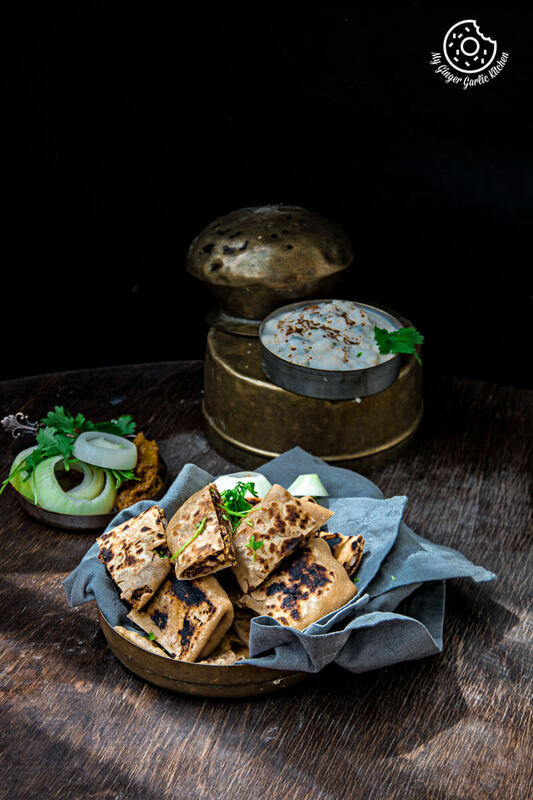 Rajma Tofu Paratha Pocket Bites With Boondi Raita! 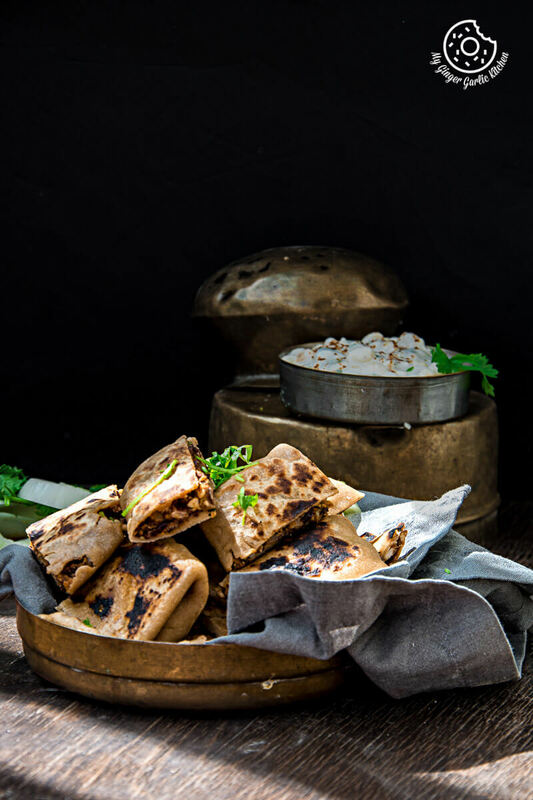 These spicy and delicious Rajma Tofu Paratha pockets are a wholesome meal which would taste even better when served with boondi raita. This is a mouth-watering breakfast full of protein and iron. Happy September guys! First day of September calls for something September-ish. Isn’t it? Days in September are a mix of cold and warm weather. So let’s make a September inspired breakfast meal which is a combo of hot and cold. What would you get here? 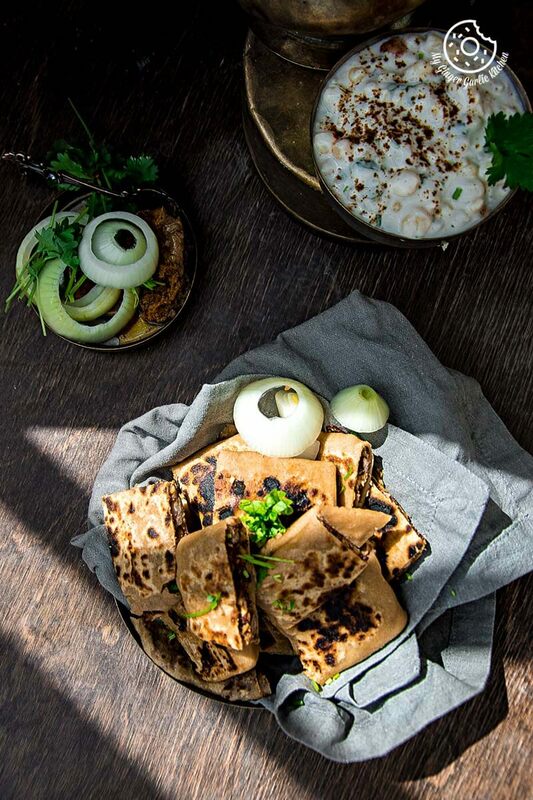 You will get some flavor bursting protein packed paratha bites with cool raita. And that’s full 100% breakfast which keeps you going all day long. The best combo ever: Okay. Now, let me reveal the name of breakfast meal which I am sharing today. 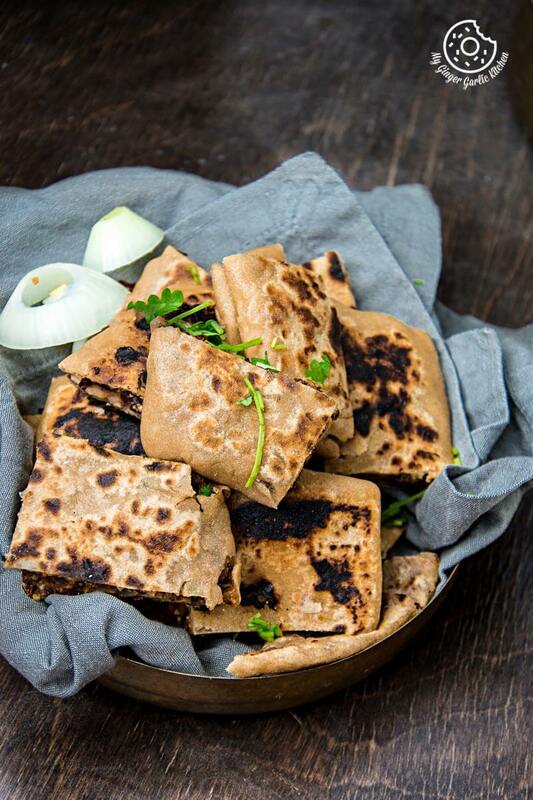 This is Rajma Tofu Paratha Pockets. These are stuffed flatbread bites which are stuffed with amazingly delish ingredients. 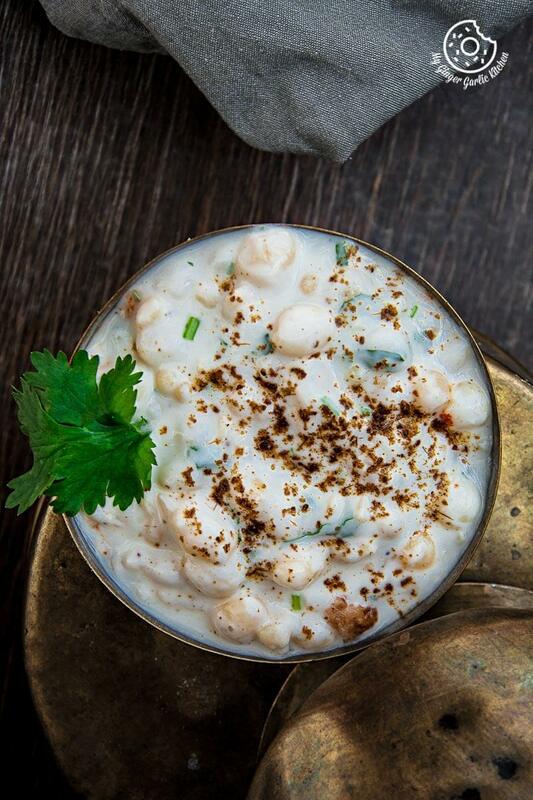 They are served with Boondi Raita which is a cool refreshing yogurt based side dish. Raita goes perfectly well with parathas. To me, Paratha and raita are a match made in heaven. You can read more about boondi raita in my previous post about Fruity-Veggie Boondi Raita. 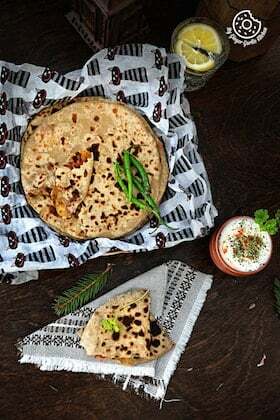 Bursting with deliciousness: If you are unfamiliar with stuffed parathas, these are stuffed flatbreads and usually served with a savory yogurt side dish. It’s completely delish. Trip down the memory lane: I was so predictable for my Mom. Later she asked the same question to me only when she already had made her mind for making parathas. And may be asking that question assured her that there are at least two people who are supporting the idea of having parathas for breakfast! 😉 I am telling you all this because I just can’t help it. This ‘Paratha’ word itself brings so many awesome memories. 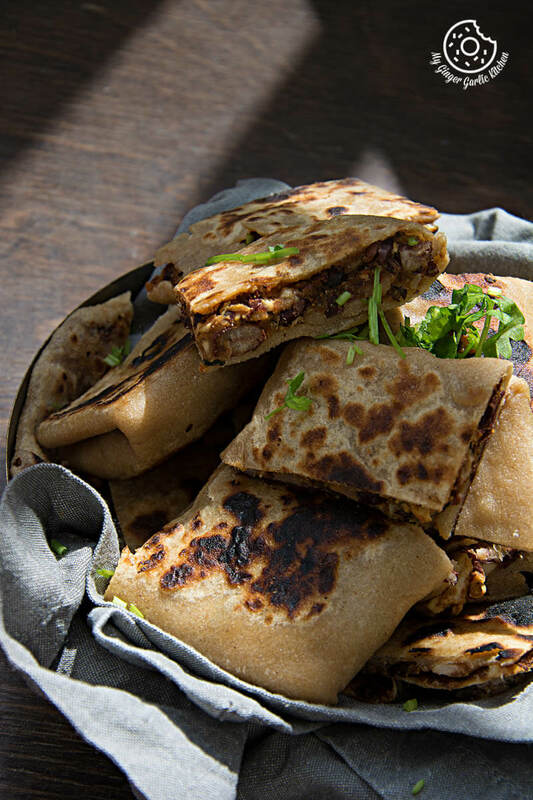 Rajma Tofu Paratha Pockets are full of yummyness — so let’s make this! 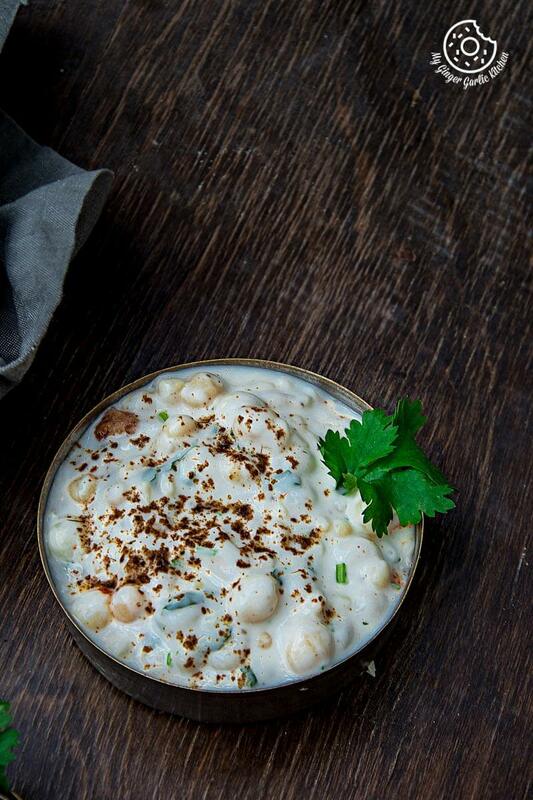 Boondi Raita is so refreshing – so let’s make this! Friday is weekend – so let’s make this!! Are you ready for this awesomeness now? Bright is what I love: Yesterday was my kinda day — bright and sunny. But speaking about this weekend, predictions show rain, dark and cold here. What else could I demand for in a cold weather. 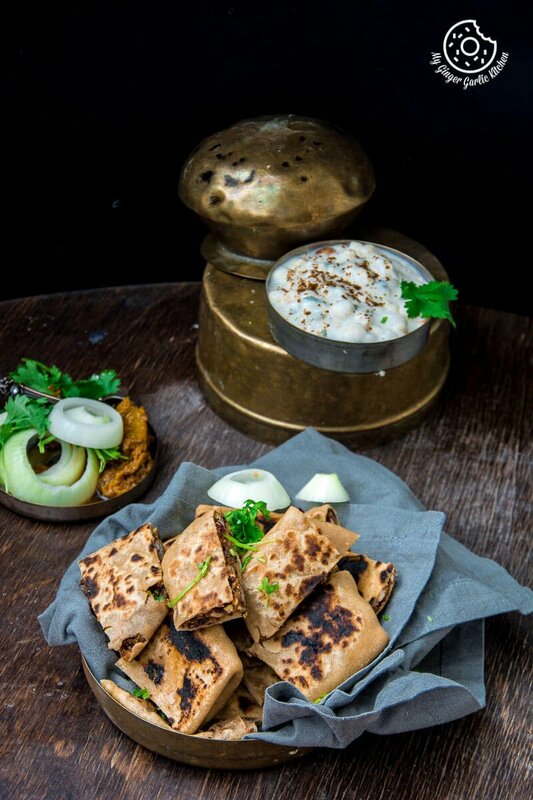 Some piping hot parathas with some raita. This is what I am actually going to do — at least on Sunday. I will let you know on Monday which paratha I made during the weekend! 🙂 So about the weekend plans, I am going to spend some serious time with my family. Yeah, in all seriousness, it would involve movies, food, chatting. Eat. Play. Repeat. Stuffing: The stuffing has cooked kidney beans, crumbled tofu, some chilies, onions, a mix of spices, ginger, garlic, and lemon juice. Here’s how it goes: The process starts with making raita. Knead the dough. Make stuffing with kidney beans and tofu. Fill that stuffing in dough balls. Roll. Roast. Cut. Serve along with raita. It’s done. 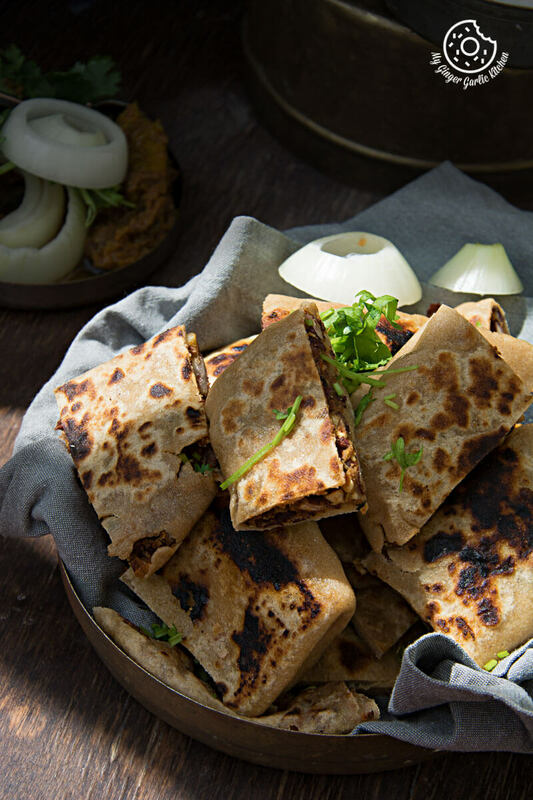 These spicy and delicious Rajma Tofu Paratha pockets are a wholesome meal which would taste even better when served with boondi raita. 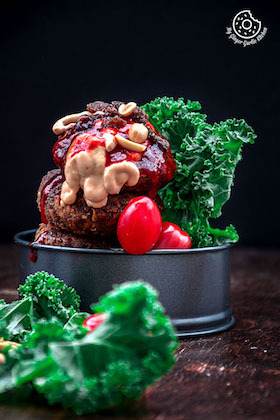 This is a mouth-watering breakfast full of protein and iron. Soak boondi in the boiled water for 2 mins. Drain and soak again in ice cold water for 2 mins. Drain excess water and transfer to a bowl. Add yogurt, coriander powder, salt, cumin powder and mix well gently. Add some water if needed. 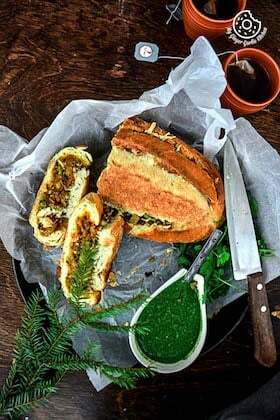 Garnish with chopped coriander leaves and sprinkle with some chili powder. Cooked kidney beans. Cook and mash slightly with the back of a spatula. Add garam masala powder, chili powder, coriander powder and salt. Mix well and cook for 2 minutes. Add crumbled tofu and mix well. Cook for 3 mins. Add chopped chilies, chopped coriander and chopped onions. Mix well and cook for one more minute. Divide the prepared stuffing into 8 equal sizes and keep aside. Add wheat flour, salt, and water to make a soft dough. Divide the dough into 8 equal sized balls. Take the ball, roll out thinly into a circle or square. Try to roll out thin, but not paper thing because it needs to hold the stuffing well. Place the rajma tofu filling in the center. 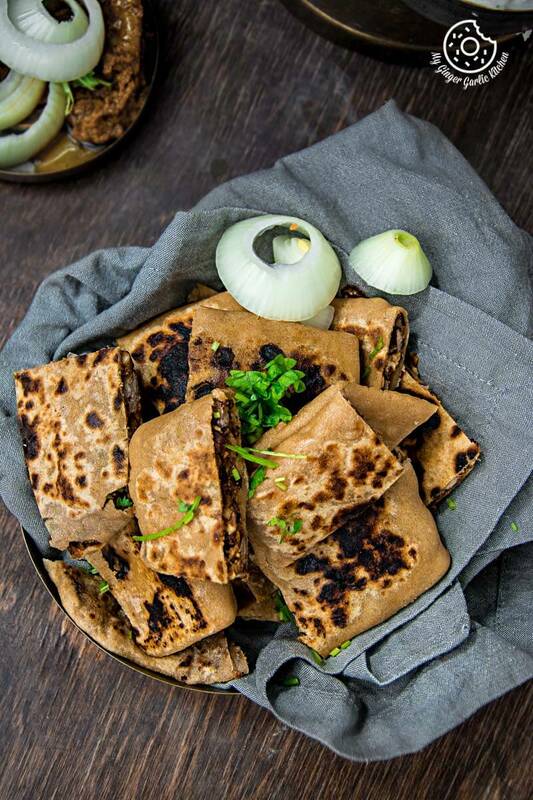 Now fold the paratha to cover the stuffing as shown in the video. Press slightly to seal the edges well. Heat a pan on medium heat. Roast the stuffed pockets from both sides on medium heat. Apply a little oil on the both sides, and roast until golden brown on both sides. Repeat the steps till the dough last. Cut into pieces. 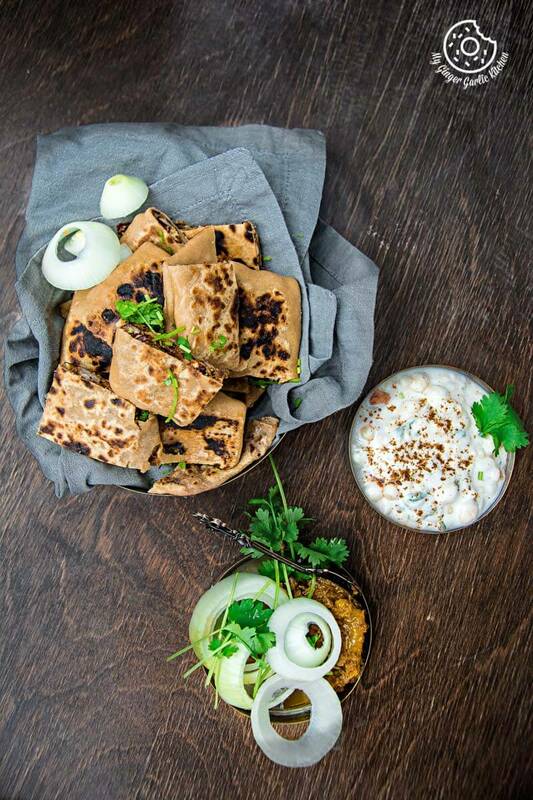 Your rajma tofu pocket paratha bites are ready. 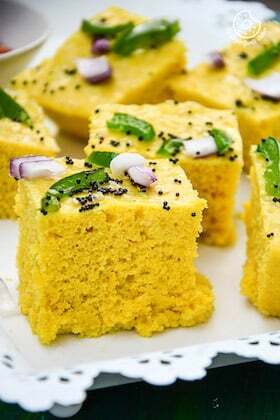 Serve with chilled boondi raita and onions rings. Enjoy!